Camping is not only an enjoyable experience. It can also teach us a lot of life skills that we may be forgetting about. As a professional, it’s important to be constantly honing your leadership skills. Self-improvement is why we attend seminars, take continuing education choices, and constantly open ourselves to feedback. But what if you could step away from the office and come back more prepared than ever? Getting out into nature could help you accomplish just that. Going camping can reveal a lot about a person because it shows us who we are when taken away from our traditional supports. With your supplies pared back to what you can carry on your back, you quickly realize that you don’t need much to be successful. You can simplify and still accomplish everything you need. How does this transfer to the office? The modern workplace is an acquisitive space; we’re always demanding the newest technology or more resources for a project. And while we might have access to these things, camping helps us realize that we don’t really need them. Simple, multi-purpose tools and a little creative thinking can produce the same results, or even better ones. What does this look like at work? The modern office is full of add-ons, programs like Slack for chatting, special brainstorming software, and niche scheduling tools. But how much of that could you do with a whiteboard and a willingness to walk down the hall? A pen and paper is your office multi-tool, the equivalent of a camping knife that you can hammer, cut, dig, or open bottles with. Why use ten different tools when you can use one? Nothing is predictable when you’re out in the woods. Sure, you can check the weather and learn about the local wildlife, but it might still pour or a raccoon might break into your tent (they don’t care much about personal property). All you can do is be ready for the unexpected. The most successful camping trips are much like a successful group project. You plan everything carefully, from how to pack the car to the route to your campsite, just like you’d divide responsibilities, set priorities and deadlines, and set a budget. But something always goes awry. And we can adapt, even if we don’t want to. In fact, when forced to change patterns quickly, we actually learn to adapt and develop new habits at a faster rate. This happens all the time when camping, as we quickly adjust to rising early, managing a fire, or storing food where animals can’t access it. Habits can form in hours instead of weeks when we push ourselves; we shouldn’t be afraid to do that at work to evolve and grow as individuals and teams. Urban, professional environments encourage a kind of jadedness that ultimately weighs down our spirits. Nothing is exciting, whether it’s new technology or a skyscraper, and this lack of wonder is simply unnatural. 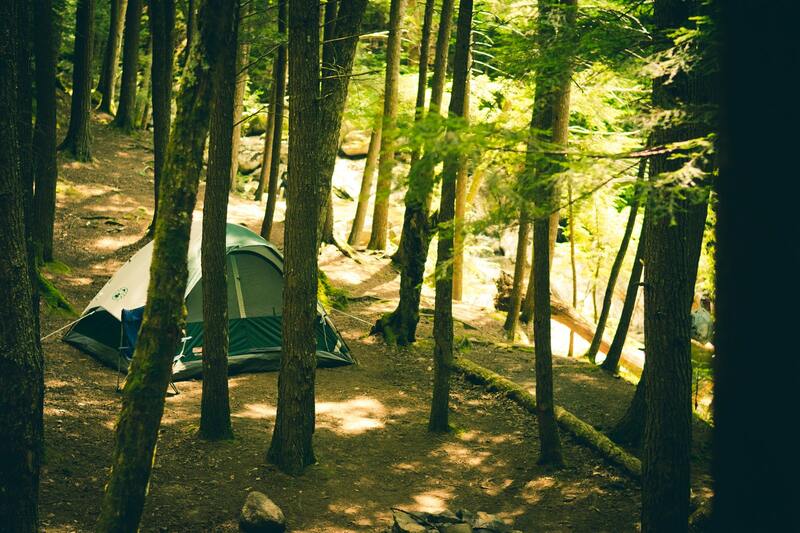 As humans, we are programmed for amazement, and camping can help us rediscover that. Consider how your average New Yorker looks on a skyscraper. They’re everywhere, so we refuse to admit that these are feats of engineering. But take a city dweller to the mountains and biophilia, our appreciation of nature, kicks in. We can’t help but be astounded. Sure, it may be inconvenient to stare in awe at everything you see, but allow yourself to take some time and appreciate your surroundings, whether it’s the plant a coworker has brought into the office or expressing your gratitude to a team member who has gone above and beyond. Don’t assume anything is a given. Be appreciative of what comes your way, if not awestruck. Finally, camping teaches us who we are when we aren’t constantly being bombarded by digital content, fielding emails, checking social media, and living in a state of distraction. So as important as taking time to unplug is in our day-to-day lives, it can take getting off the grid entirely to appreciate its value. It’s often hard to justify disconnecting in that way, but once you’ve experienced the peace and calm of being unplugged, you’ll be more likely to separate from your devices on a regular basis. launching into the work of the day.